Angry Birds makes it to the realm of pastry display. 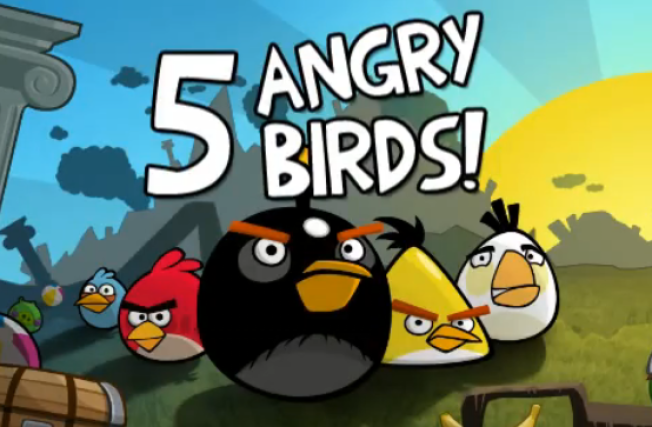 The developer of Angry Birds has an opinion on what mobile platform will rule the future. A Menlo Park hotel added some whimsy to its Easter menu this year. Pastry chef, Emmanuel Fimbrez of Rosewood Sand Hill, created an "Angry Birds" display made out of all things sweet. The colorful birds are close to egg shape, so you could see how a chef would do this on Easter. For now it is on display in the hotel's lobby. The creation is edible, but who would be the first to dare to cut into such a creation? If you are among the few who don't play the popular video game, Angry Birds is the creation of a Finland-based company and has sold million of copies on Android, iPhone and iPad. Angry Birds sling-shot its way to the movie theaters with a new animated tie-in titled "Rio" which opened April 15.